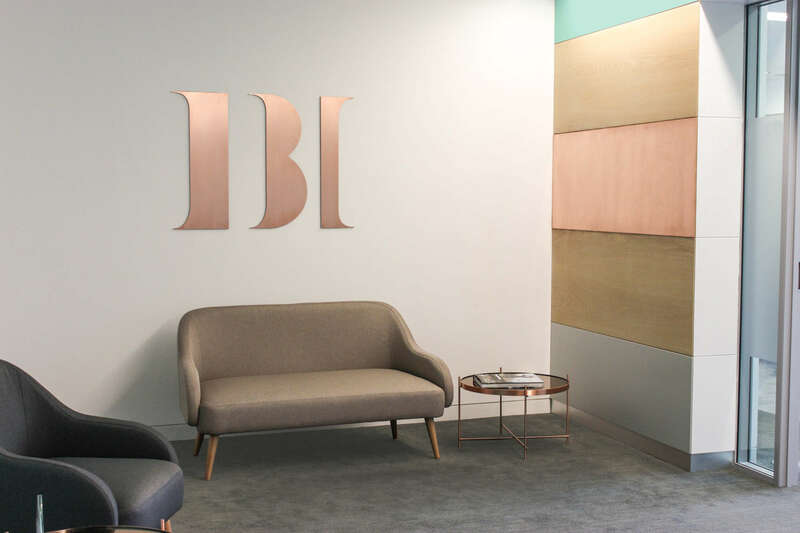 IBI are Ireland’s leading corporate finance firm, specialising in mergers and acquisitions on a global level. Their existing brand identity had become tired and we looked to create something stronger with a distinctive tone of voice more in keeping with a top tier finance house. The letters of the name became three graphic elements which work together as a symbol and can also be taken apart and used effectively as a visual device to house key brand messages and to create unusual aesthetics across all communication material from interiors to digital. A bronze metallic was introduced in print and signage to keep things classic yet contemporary.